What did she write? Ustvolskaya wrote little published music, but her output still extends to five symphonies and a number of highly regarded chamber works. Why isn’t she more popular? In general women classical composers have had an extremely raw deal over the centuries, but there are at least now a few contemporaries who are coming through to more prominent positions – among them Dame Judith Weir, now Master (Mistress!) of the Queen’s Music, Thea Musgrave and Sofia Gubaidulina. Ustvolskaya’s music is not perhaps as immediately as theirs, but she is arguably the most inventive and original. What are the works on this new recording? Two works for violin and piano – the Sonata (1952) and Duet (1964) given characteristically sparse titles. They sandwich an earlier Trio for clarinet, violin and piano (1949), recorded for the second time by ECM. What is the music like? Challenging. Not in a bad way, you understand! The Duet is a fascinating piece, because there are some moments where it feels like the violin and piano are in open combat. The piercing high notes from the violin are haunting initially, but at about two and a half minutes in this cuts to some music that I can only describe as bloodthirsty, with violin and piano locked in battle. 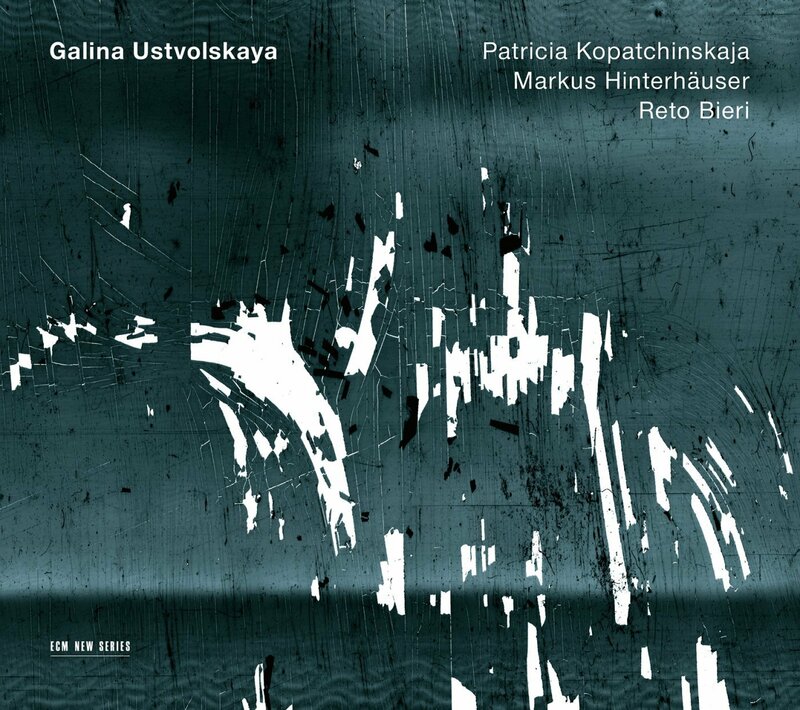 There is a greater sense of togetherness between the instruments in the Sonata, where once again Kopatchinskaja and pianist Markus Hinterhäuser play with fearsome intensity. This work is where the influence of teacher Shostakovich is at its keenest, with a five-note motif on the violin that becomes obsessive and disconcerting. There are however some lovely slower moments of deep thought, where the violin makes bird-like calls over the soft piano. The Trio is another dramatic work, its sonorities reminiscent of Messiaen’s Quartet for the End of Time, written for the same combination with cello. The music is especially effective when Ustvolskaya works the violin and clarinet together, effectively taking the bottom out of the music, while there is often a stronger sense of forward movement. Reto Bieri’s beautiful tone is notable in this performance. What’s the verdict? If you’re willing to put the work in with Ustvolskaya’s music there are rewards to be had. She is a composer who seems never to waste a note, and although sometimes her writing is austere, it is packed with a deep-seated emotion. An Ustvolskaya playlist is available on Spotify below, including the Trio and Violin Sonata detailed above, the highly regarded Octet and the Symphony no.5. This entry was posted in Under the surface and tagged BIS, Galina Ustvolskaya, Markus Hinterhäuser, Patricia Kopatchinskaja, Reto Bieri by arcanafm. Bookmark the permalink.